A corporate director in Alberta can be personally sued by a worker injured on the job even when that employee has workers’ compensation coverage through the province, the Court of Appeal of Alberta has ruled. Doug Stewart was a director of DWS Construction Ltd. a subcontractor that built a temporary staircase on a new home. Three employees of a different subcontractor claimed they were injured when the temporary staircase collapsed. They got paid by Alberta’s Workers’ Compensation Board, which is now pursuing a subrogated claim against Stewart. 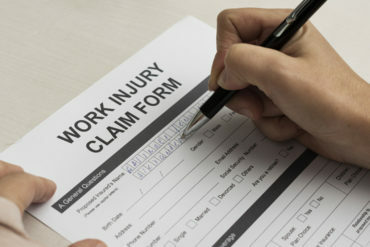 In Canada, the workers’ compensation system is a “historic trade-off.” While it took away workers’ rights to sue employers or fellow employees for injuries, it also gave them access to no-fault workers compensation coverage, the Court of Appeal of Alberta noted in Hall v Stewart, released March 18. Despite this historic tradeoff, the Court of Appeal of Alberta said Stewart is not immune to being sued by the injured workers, overturning a 2018 ruling by provincial court judge J.S. Little. The March 18 ruling does not mean the plaintiffs won their lawsuit. It does mean that a summary dismissal of their lawsuit has been quashed and a trial could be held. The immunity from lawsuits under Alberta’s Workers Compensation Act does not apply to directors of employers unless they themselves purchased coverage from the WCB. Originally, a lower court sided with Duncan, who is arguing any negligent act he may have committed was done as a worker and not as a corporate director. “One area of potential personal liability is when officers and employees of a corporation cause damage by a tortious act,” the appeal court judges (Jack Watson, Frans Slatter and Brian O’Ferrall) wrote in their unanimous ruling. Corporations often owe a duty of care to and humans (such as corporate managers or employees) will owe the same duty of care, the appeal court wrote. “Whether the individual tortfeasor is personally liable for torts committed while conducting the business of the corporation will generally not be of practical importance, because the corporation or its insurer will cover the loss,” the appeal court said. But it does come into play if the corporation is immune from a lawsuit, which is exactly what happened when the staircase collapsed. It is not clear when a person can be liable for corporate torts. In Hall v. Stewart, the court identified 10 factors identified by courts in previous rulings. One is whether the tort is so closely identified with the corporate activity that is it not fair to characterize it as a separate tort. In Duncan’s case, the work related to the staircase was done on behalf of the corporation and did not reflect any personal interest on Duncan’s part, the court of appeal found. “The deciding factor in this case, however, is the nature of the damage: personal injury. A number of the cases where individual liability has been found for corporate torts concern physical damage or personal injury.